All outputs have been released! "Recommendations on Joint Actions across Thematic Areas". "Strategic Outlook" (looking beyond 2030). 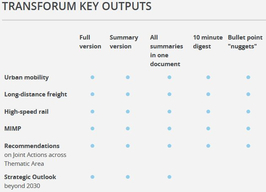 We also offer summary versions of all key outputs in our library section! The discussion and stakeholder consultation continues on our discussion fora. 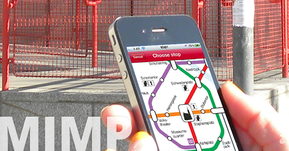 Please share your views and comments about the roadmaps with us and with your peers. Halve the use of ‘conventionally fuelled’ cars in urban transport by 2030; phase them out in cities by 2050. Achieve essentially CO2-free city logistics in major urban centres by 2030. 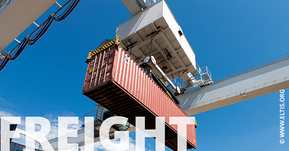 Thirty per cent of road freight over 300 km should shift to other modes such as rail or waterborne transport by 2030, and more than 50 % by 2050, facilitated by efficient and green freight corridors. To meet this goal will also require appropriate infrastructure to be developed. 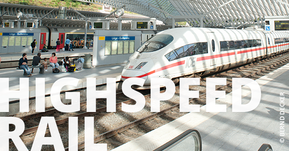 By 2050, complete a European high-speed rail network. 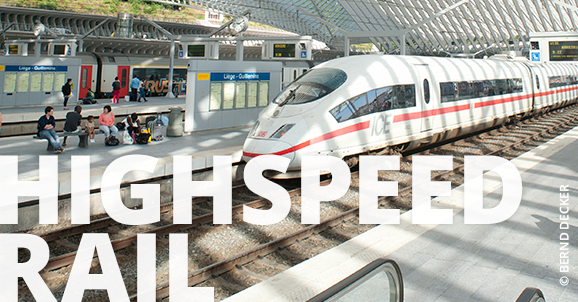 Triple the length of the existing high-speed rail network by 2030 and maintain a dense railway network in all Member States. 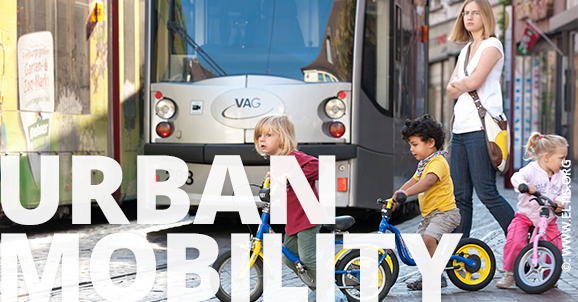 By 2050 the majority of medium-distance passenger transport should go by rail. By 2020, establish the framework for a European multimodal transport information, management and payment system (MIMP). All of these steps and final outputs were based on the views of and reality-tested by the key actors in all of the above areas. 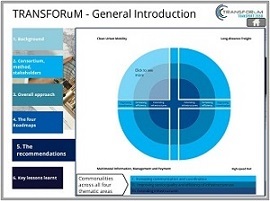 Therefore, TRANSFORuM brought together a comprehensive sample of these stakeholders in a series of face-to-face events, validated their results through targeted interviews and stimulated and moderated lively online discussions. 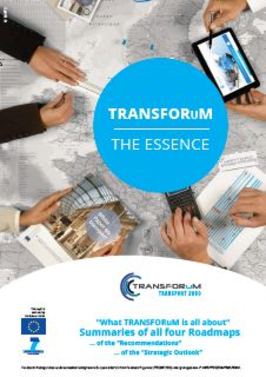 Please share your views with the TRANSFORuM team and other stakeholders Contact us! 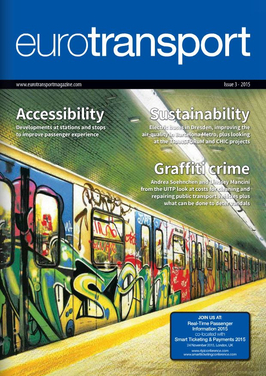 Familiarise yourself with related policy documents, including – of course – the White Paper on Transport: TRANSFORuM Library.